Rampant poaching: the elephant population has been decimated in the last 5 years and estimates are less than 70,000 elephant are left in Tanzania today, down from 109,000 in 2007. 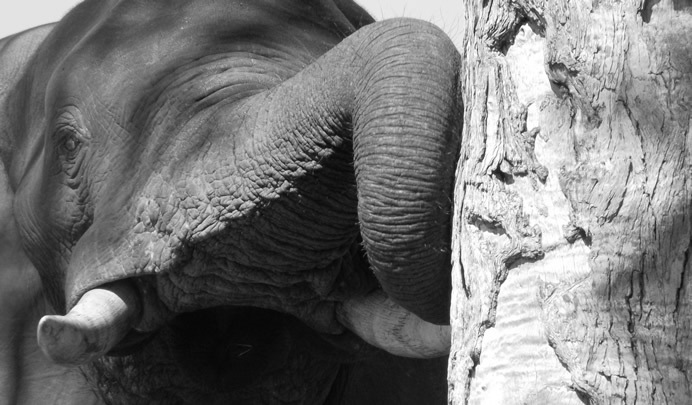 Approximately 30 elephant a day are killed. At this rate the elephant population will be exterminated by 2020. Lax law enforcement and complicity of government officials including the army and police. 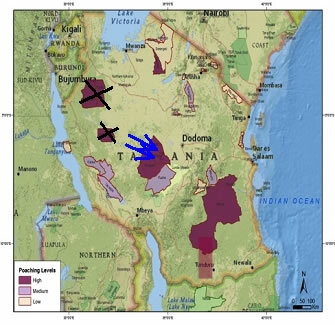 The Ugalla ecosystem (smaller black cross) has less than 500 elephants left and is becoming unviable (TAWIRI 2012). Poachers are now decimating the populations of Katavi NP, Ruaha NP and Rungwe GR blue arrows). The Selous ecosystem has become the African elephant killing fields, with estimates of over 4,000 animals lost in 2011 alone, and much of the recent ivory traded in China traced back to the reserve. 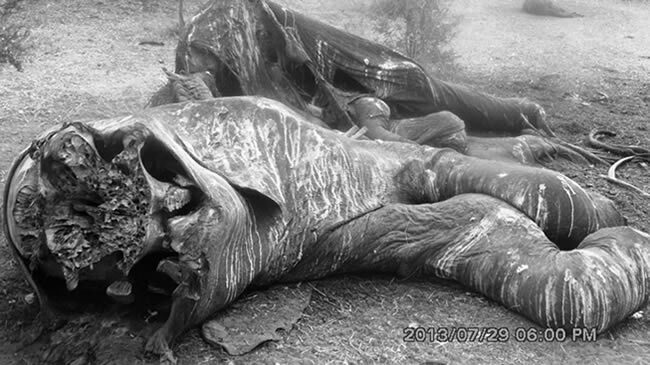 One of four carcasses found just outside the photographic tourism sector of Selous July ‘13.